An eye exam every 1-2 years is essential if you want to maintain good vision now and for the rest of your life. Henry Oishi, OD, and the team at Eye Appeal Optometry is here to help with not only eye exams, but all types of eye care, including treatment for eye infections and other eye issues. Schedule your eye exam appointment at the Temecula, California, practice online or call to speak with a team member. The Eye Appeal Optometry team recommends that adults have an eye exam once a year. Regular eye exams are very important when it comes to the early detection of eye diseases like diabetic retinopathy, glaucoma, macular degeneration, and other eye diseases. You may think that you're seeing clearly, but an eye exam may reveal that your vision could actually be much better with a prescription change. 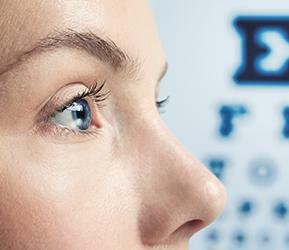 A comprehensive exam every year can help you maintain both clear vision and healthy eyes long term. Children should have their first basic eye exam at 12 months old. After that, kids should have a comprehensive exam at 3.5 years old, and then again right before kindergarten. Anyone below the age of 5 should see pediatric optometrist. Once in kindergarten, children should have an exam once a year. However, each child is unique, so if your child is experiencing difficulty seeing or their eyes are irritated, schedule an appointment right away. What is an eye exam like? Eye exams at Eye Appeal Optometry usually include all of the following. Computerized testing checks your field of vision, gets a prescription estimate, and measures your eye pressure. Dr. Oishi reviews your vision history with you, including a discussion of glasses and contacts that you've worn in the past. If you're experiencing any vision issues, you'll discuss those at this time, too. Dr. Oishi determines your ideal prescription by performing various tests. Based on his objective findings and your input, will he be able to write a new prescription that is optimized to your eyes for eyeglasses or contacts. Evaluation of eye health is usually, but not always, done with your eyes dilated so Dr. Oishi can see the details of your eyes. During this eye health evaluation, Dr. Oishi looks for signs of eye disease, structural abnormalities, and other issues. 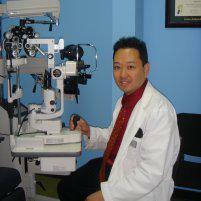 After your eye exam, Dr. Oishi discusses your results with you and gives you the prescription. If you need any special eye care, he recommends a treatment plan at this time, too. How long does my eye exam take? In general, a comprehensive eye exam only takes around 35-40 minutes. Allow some extra time if you plan to get new eyeglasses, as you'll have a wide variety of fashionable frames to choose from. Book your eye exam at Eye Appeal Optometry today. You can schedule online or over the phone.